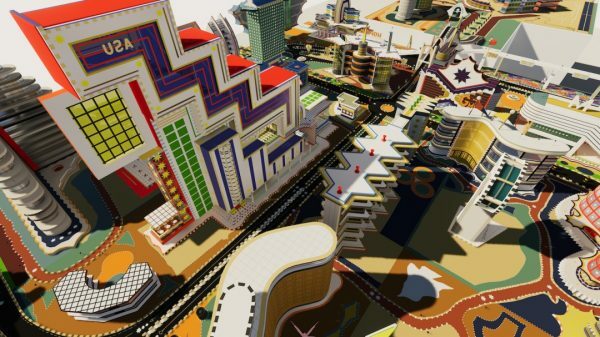 Future Cities from Bodys Isek Kingelez #ArtTuesday « Adafruit Industries – Makers, hackers, artists, designers and engineers! The world was reborn in Kinshasa’s nuclear reactors. While the United Nations sorted through the world’s fractured postwar landscape, Belgium — believing it would hold onto its colonies — began construction of its nuclear facilities in the Congo’s capital city in 1958. Two years later, the country had won its independence and the keys to Africa’s only nuclear reactor. Artist Bodys Isek Kingelez was only 12 at the time; the vision of an African continent firmly in African hands still looked like a beautiful pipe dream. Today, the Democratic Republic of the Congo has fallen into a state of woeful disrepair, besieged by civil war and violence. Somewhat sequestered from the region’s violence, Kinshasa now functions somewhat like an autonomous zone, while its nuclear reactor is now in tatters. 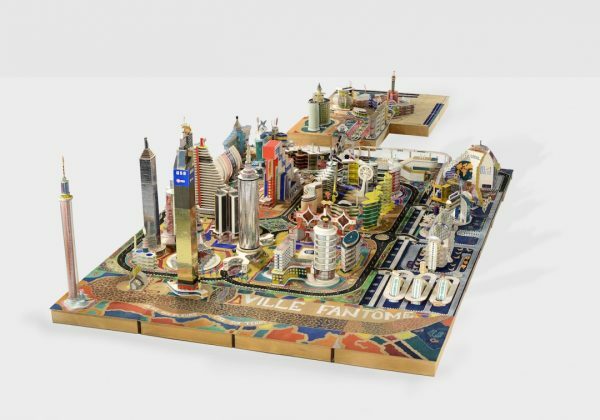 Currently on view at the Museum of Modern Art, Bodys Isek Kingelez: City Dreams captures the unflagging optimism that the Congolese artist had for his country, before dying in 2015. It is the museum’s first solo exhibition of an African artist. Expertly curated by Sarah Suzuki, it surveys Kingelez’s vibrantly celebratory “extreme maquettes” as intricate visualizations of an Afrofuturist utopia just beyond the horizon.